A project by Jennifer Nagle Myers reimagines the last swim of the Chinese river dolphin, known as baiji, a species declared extinct in 2006. 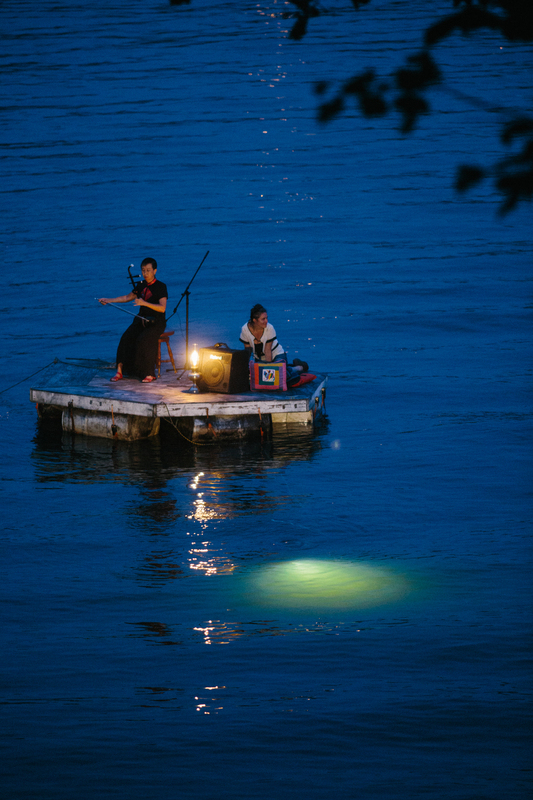 The performance involved musician Mimi Jong on the erhu as well as scuba diver Stacey Kranick in the water with a custom lighting rig. 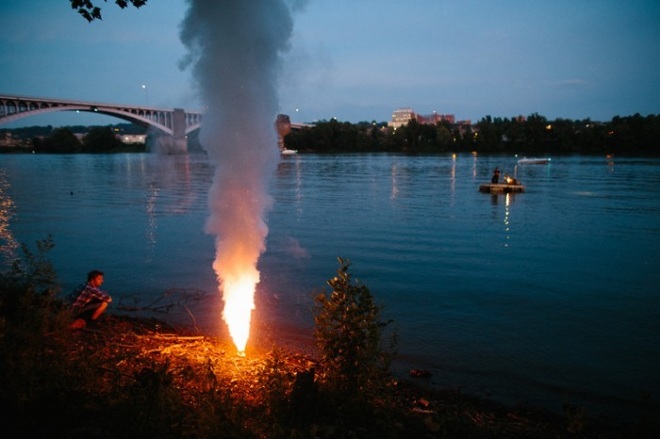 The event occured on the Allegheny River, viewable from Millvale Riverfront Park, Millvale, PA, on July 19, 2013 at dusk. The baiji population declined drastically during China's industrialization as the country made heavy use of the rivers for fishing, transportation, and hydroelectricity. Efforts were made to conserve the species, but in 2006 after an extensive search on the Yangtze River, this mammal was declared “functionally extinct” after no sightings were made. 20 million years of existence only to go extinct without a proper farewell or a witness. 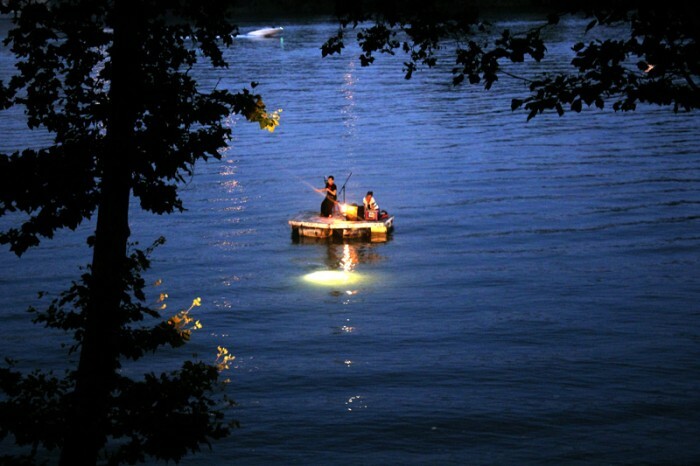 This project aims to bring dignity back to this extinction by imagining it on rivers throughout the world as one-night performances.